The Lollapalooza day lineups are OUT! See the who's playing on what day in the lineup poster farther below. And single-day tickets are on sale now! Lollapalooza tickets are on sale! Single-day tickets, 4-Day GA, VIP & Platinum tickets are available while supplies last! 4-Day GA+ tickets have sold out. Check out the Lollapalooza ticket options in the ticket section below. Thursday is The Strokes, The Chainsmokers, Hozier, Rüfüs Du Sol, H.E.R., and more! Friday kicks off the big weekend with Childish Gambino, Tame Impala, Janelle Monáe, 21 Savage, Death Cab For Cutie and more! Saturday is the big day with Twenty One Pilots, J Balvin, Lil Wayne, Gary Clark Jr., Tenacious D, RL Grime and more! Sunday winds the festival down with Ariana Grande, Flume, Kacey Musgraves, Meek Mill, The Revivalists, Louis The Child and more! See the full listing in the the lineup poster farther below. Lollapalooza 2019 happens all weekend long in Chicago, and here's the story for the next Lollapalooza: one show, four days, with lots of after-show events happening. About 70 bands will perform on multiple stages in Grant Park. You can check out legendary Lolla experiences like Chow Town or Kidzapalooza, and the Lollapalooza lineup includes indie music, electronic music, alternative, hip hop and pop music, among other musical styles. The dates dates are August 1 - 4, 2019. 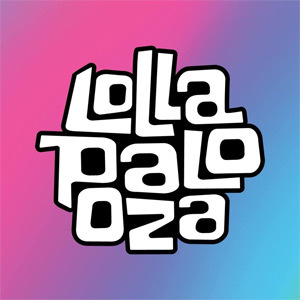 The Lollapalooza 2019 lineup and Lollapalooza 2019 tickets are below! Lollapalooza tickets are on sale! Single-day tickets are now available as well as 4-Day GA, VIP & Platinum tickets while supplies last! 4-Day GA+ tickets have sold out. Saturday tickets have a low-ticket alert ... if you're buying a Saturday ticket your best bet might be to snag one before they're gone. The lineup by day is out tomorrow, April 17th at 10:00 AM CST! And single-day tickets will go on sale at the same time! The lineup by day for 2019! Day tickets are now available as well as weekend tickets!